Good. 352 p. Audience: General/trade. Photo of actual book for sale. clean no marks. in 19th century China a woman's eligibility is judged by the shape and size of her feet. Lily is the daughter of a humble farmer and to her family she is just another expensive mouth to feed......prompt dispatch from our UK warehouse..
Fair. New and unread however the front cover and pages 204 and 205 are warped, causing a 1cm gap between those pages. Good read. Lisa See's always urging you to the next page. Her characters quickly bring you from chapter to chapter and --all too soon-- to The End. This book delved into the relationship between two women as they grow from little girls to women & mothers. Even though foot binding is a known fact, the description of the procedure was excellent. The obedience of the girls, to accept the custom as a given, was food for thought. The girls, who thought they were so close, shared everything, didn't really understand one another. I bought copies for several life long friends as we think we REALLY know one another, but do we?. Lisa See did a great job creating this story. With a decent amount of knowledge of this era I found it to be factual and realistic. When it spoke of all the foot binding and the death that came to Lilly's sister from an infection from it, I felt as if I was seeing everything. The step by step description of events that occurred was phenomenal. The explanation of Lilly's emotions made me feel empathy for her and feel sorry for her. The book and the letters within it were so well written that I believed someone of that era actually wrote them at that era and time. I would recommend this book to anyone who is looking for a book that will keep you wanting to read, and you will end up have knowledge of the era it took place in, in the end. There may be scenes that may bother people do to blood and deep description of severe injury. If the person has a tolerance for these things this book would be perfect for you. This book is a great read and very informative about the era. 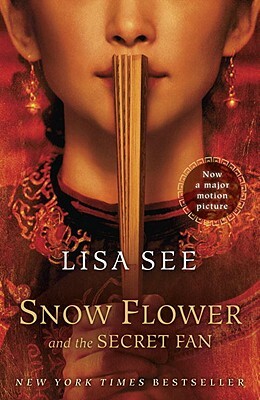 Well researched, documented novel on a lost period in Chinese history. Well written with a taste of Chinese idioms.